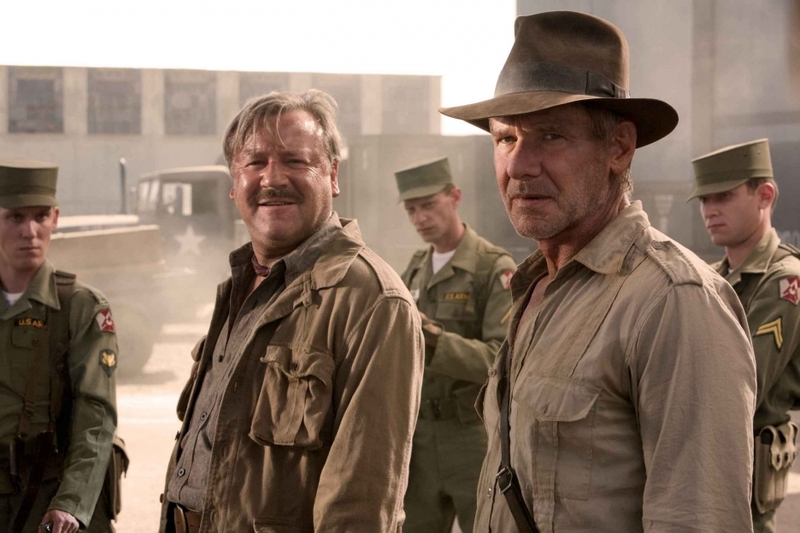 The first official trailer for Indiana Jones and The Kingdom of The Crystal Skull was Steven Spielberg and George Lucas’ Valentine’s gift to the world earlier today and, as any good trailer should, it certainly whetted the appetite for Indy’s return. Providing more proof, if any were needed this week, that he is indeed a consummate liberal, Spielberg has provided us with some extremely tantalising footage while trying to remind us of his heroes’ past glories. Without ruining too much try pausing it on the bit where the glasses fly onto the crate… now read where it says the crate is from… internet rumours about aliens may, or may not, have been too far off after all! There are however, slight causes for concern. Harrison Ford is certainly older and more venerable and the bits with Shia LaBeouf do, as feared by some people, have him sounding more like a Granddad than simply a Dad. He does, however, seem to carry the action sequences off still which is really all we care about!